The planetary combinations bring big modifications in predictions and for that reason to understand this phenomenon the techniques of reading a horoscope with Illustration by analyzing these planetary combinations related to various areas of life have been included in this section. Bhrigupatrika is basically a very comprehensive model of prediction and calculation.This 171 page long Horoscope is the best model for complete and detailed calculations and predictions with Numerology, LalKitab, Astrograph and Yogas. Kundli Darpan contains extensive astrological calculations and predictions which helps the astrologer and native to get an idea about native’s past and make predictions about future. He is a hot favourite of those who seek consultancy in astrology because he has gained limitless clout by way of his uncanny predictions and interpretations. 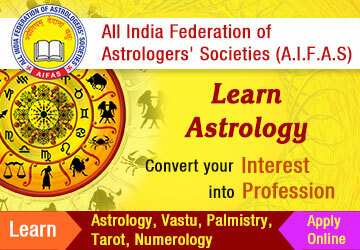 Expert in career predictions and remedial astrology. He is well versed in Parashari, Jaimini, Tajik, Horary, Lal Kitab, Mundane, Remedial Astrology and Western system too.